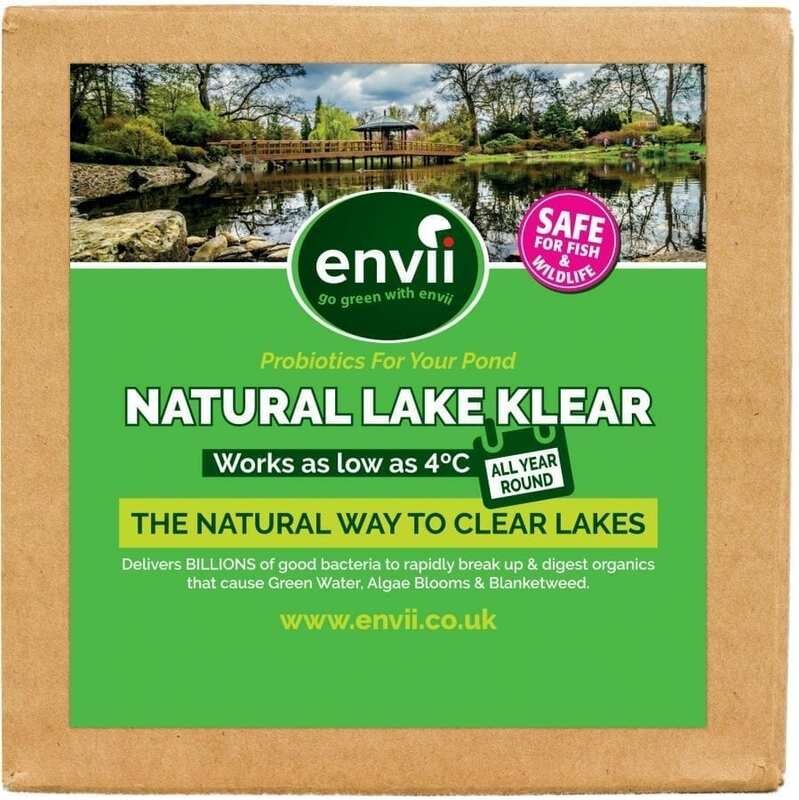 Natural lake water treatment that uses beneficial bacteria to clear green and murky water in lakes and natural swimming ponds or pools. The bacteria will also help prevent any algae growth within the water such as blanket weed and duck weed. Use our calculator to find out the perfect amount. 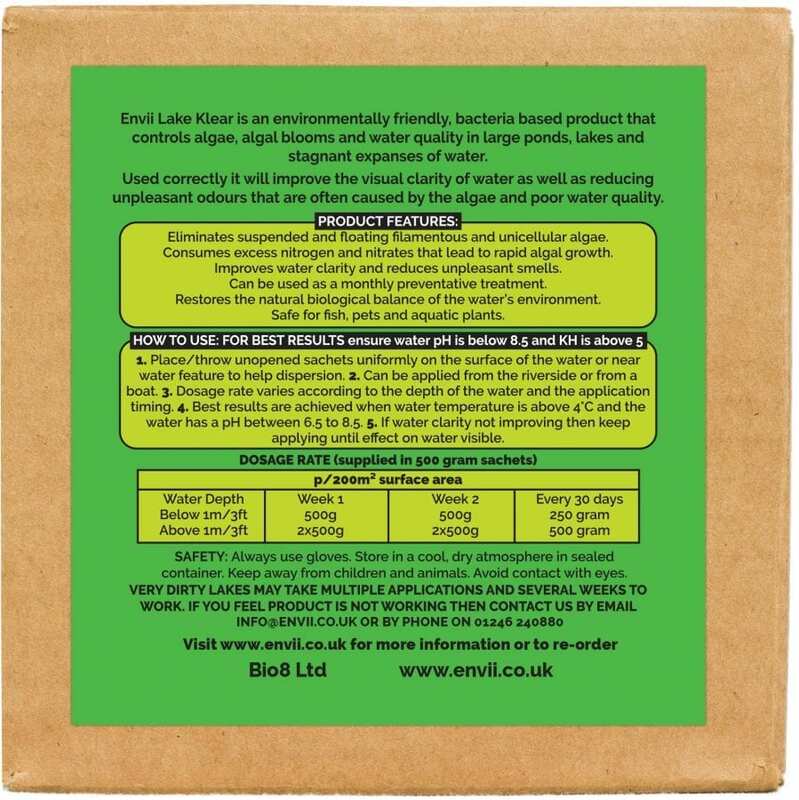 Fight Nature with Nature and Control Lake Algae! Whether you oversee the maintenance of a lake or fishery, or you have a lake in your garden, you want to enjoy looking at it and know that it’s inhabitants are happy and healthy. Lakes, or large ponds are the perfect breeding ground for green algae, blanket weed and duckweed. Furthermore, the large surface area means that anything can make its way in to the pond and begin breaking down. Therefore, this quickly deteriorates your ponds condition and makes it very hard to control algae. Lake Klear contains billions of innovative, beneficial bacteria that target the organics that algae feed on. By eliminating their food source, Lake Klear slowly starves the algae whilst reducing harmful nitrogen levels in the water. Also, what’s unique about our bacteria, is their ability to work down to temperatures as low as 4°C. This allows you to continue treatment throughout the year. Lake Klear improves water clarity by restoring the biological balance in your pond and creating an established eco system. The natural bacteria found in Lake Klear can starve blanket weed, duckweed and green water. What Causes Algae in Lakes? Lakes are the perfect breeding ground for algae. Fish waste, leave and twigs create copious amounts of debris deposited in to a lake. This begins to rot and release unwanted organics, these organics are the perfect food source for algae spores. The algae begin to feed on the organics and quickly take over as they have the perfect conditions for growth. Sunlight, water and plenty of nutrients. Ultimately, lake algae control can be a lengthy process as we are using microscopic bacteria to cover a large volume of water. However, in the long run, the biological balance that is creating will prevent future algal blooms. Add some movement to your lake by using a solar fountain or air stone, this will reduce the risk of algae and green water. It will not target algae directly but will remove the nutrients it requires and slowly starve it to death. Is this safe for fish and other wildlife? Yes, Lake Klear is a natural product that is safe to use around pets, fish and other wildlife. No, but it will remove its food source and overtime starve it to death. It will still need to be manually scooped out. This nitrate remover for ponds targets nitrates directly and lowers them gradually to avoid any crashes in the pond. The reduction in nitrate levels will help towards healthier, more resilient fish and will help prevent algae and green water. Fast acting blanket weed killer that targets blanket weed floating on the surface of the pond and kills it within 24 hours. The unique bacteria then help to prevent any blanket weed from re-growing in the pond. 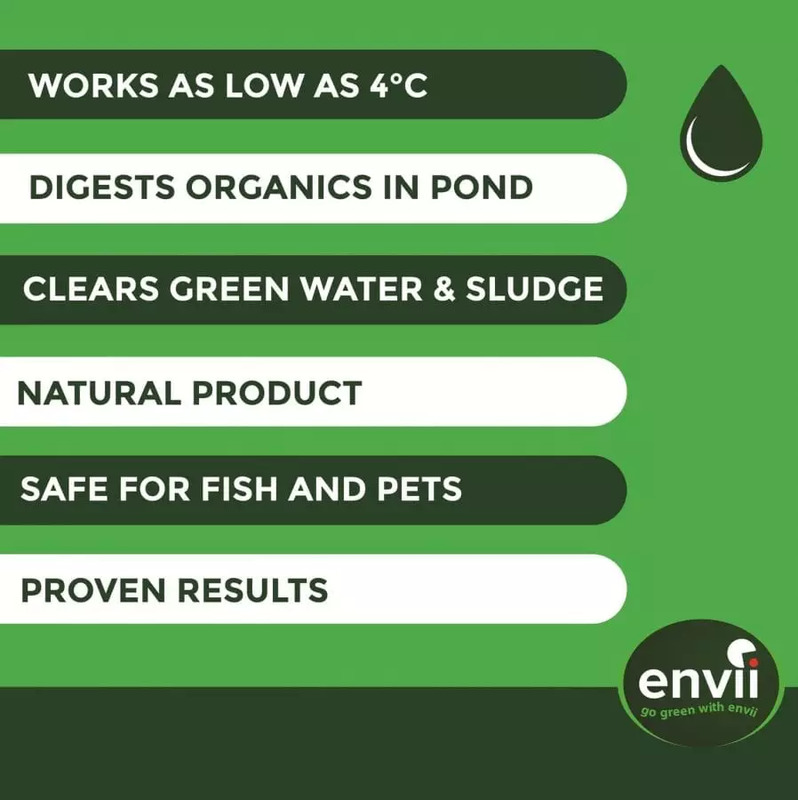 Pond treatment that targets three known problem areas in ponds, green water, sludge and nitrate levels, which are usually the cause of green water or algae. Contains 1L of Pond Klear, 6 Sludge Klear tablets & 6 Nitrate Klear tablets.